He is an advocate of inter-disciplinary collaboration in research and the importance of the knowledge broker function to develop relationships and networks with, among, and between producers and users of knowledge. He is a co-investigator in the Arctic PRIZE project which looks to understand and predict how change in sea ice and ocean properties will affect the large-scale ecosystem structure of the Arctic Ocean. He studied physics at Edinburgh University, polar oceanography at Cambridge University, physical oceanography at Southampton University, and received his post-doctoral from the University of Wales, Bangor. He moved to SAMS in 1998 and leads the Physics Group. 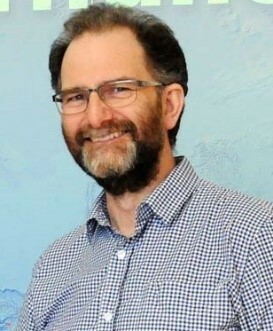 In recent years he has established an ocean turbulence measurement facility at the Institute, as part of the Scottish Marine Robotics Facility based at SAMS. Professor Mark Inall joined the SSAC on 01 January 2019.